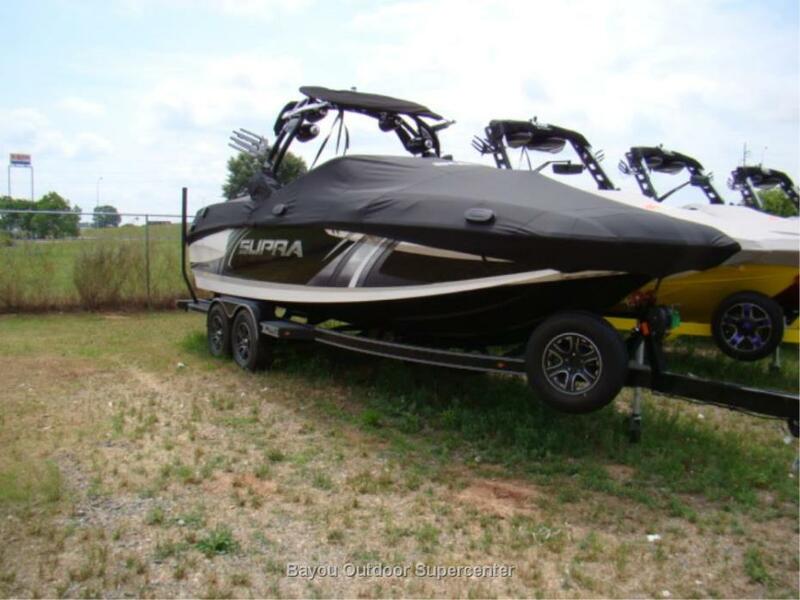 2016 Supra SE 450 (Black /White) 2016 Supra SE 450 (Black /White), The Supra SE is the flagship of the Supra line of premium tow boats. 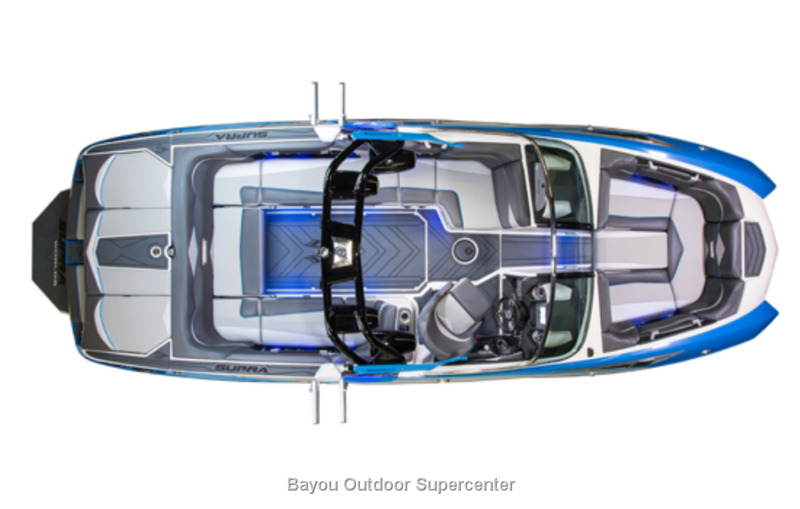 Proving itself on the biggest stages in professional wakeboarding, the Supra SE is the official towboat of the 2015 Pro Wake Tour and WWA World Wakeboarding Championships. 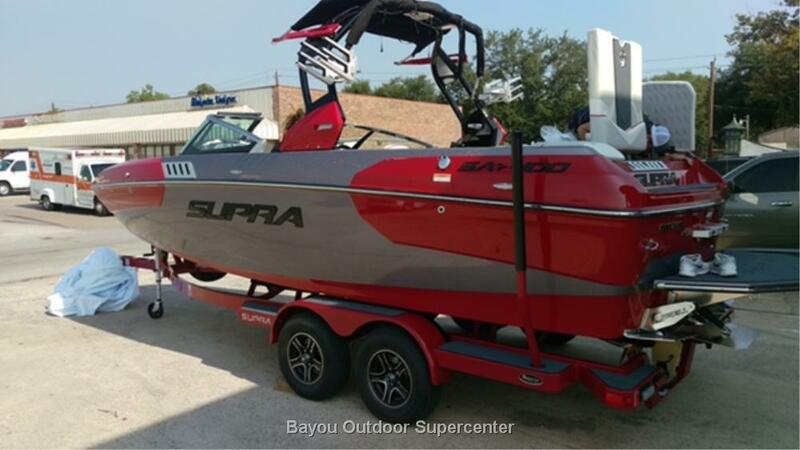 By combining world class performance, unrivaled comfort and head turning style the Supra SE is a boat that looks, feels, and rides like no other. Specifications Overall Length w/o Platform: .........24'6" Overall Length w/Platform: ............26'6" Overall Length w/ Platform & Trailer: ....29'2" Width: Beam ..................................102" Overall Width w/ Trailer: ..............106" Draft: .................................................27" Weight- Boat only: .........................5,300 lbs Weight - Boat and Trailer: .............6,900 lbs Seating Capacity: ............................18 Weight: .................................2,800 lbs Fuel Capacity: .......................83 gals Ballast: .....................................3,200 lbs Prices too low to advertise, save thousands below List Price!! 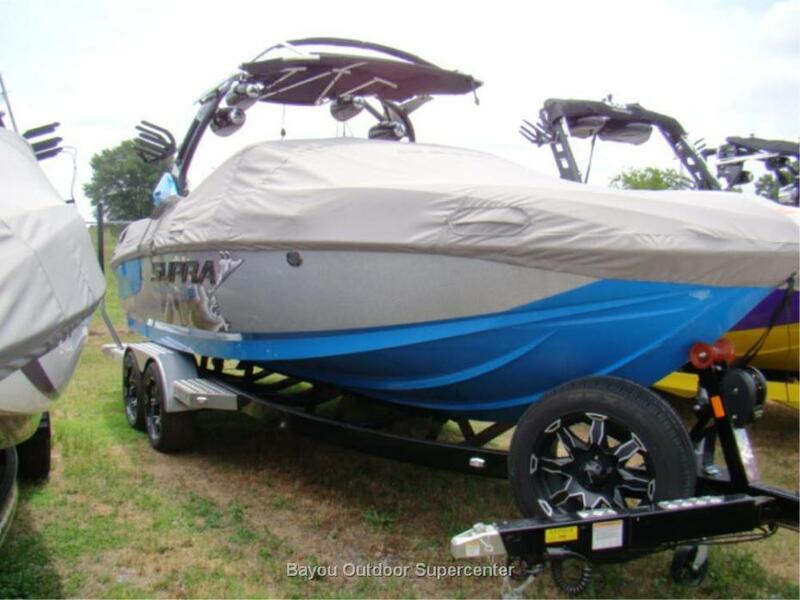 Call Bubba for our selling price and more details at 318-213-2628!!! EQUIPMENT INCLUDES: 440 6.2L Ford Raptor by Indmar Deck Color - White Deck Forward Accent - White Accent Gel -- White Main Panel - Black Hull Forward Accent Gel- Upper Lower Accent - White Hull Color Gel- Black Rubrail - Stainless Steel/Black Graphic Logo-Verge, Chrome Graphic Background-Force Upholstery Base-White Upholstery Main-Light Graphite Upholstery Back-White Upholstery Accent-Black Welt Color Black 2 Tone Panel Color-Black Carpet-Base Color-Sterling Grey Sterling Grey Snap In Carpet LED Docking Lights Assembly PTMEdge Swivel Board Rack Standard Tower Contrast Color Black Boat Cover w/ProEdge 70" Rear Bimini Top Extension Acme 1235 Prop-14.5x14.25 Swell Surf System Transom Stereo Remote JL Audio Tower Speakers Dual Battery w/Charger PTMEdge VR-140 Mirror Tandem Trailer Black, w/ White pinstripe 15" Spare Tire/Wheel Transom Strap Driver's Area Supra VISION Touch System Touch Screen GPS Mapping Rider Profiles Driver Presets Full Instrumentation - Tach Speedo Fuel Oil Temp Volt Dept Hour Stainless Steel Transom and Bow Eyes Removable Fiberglass PURE Surf Platform w/ Custom SeaDek Non-Skid Stainless Steel Removable Platform Brackets Cruise - Zero Off GPS Smartplate Technology - Automatic Multisport Wake Plate Liquid Lead Ballast w/ 3 Tanks (1 front, 2 rear) Retractable Swivel-Head Pylon Dual Dorsal Tracking Fins 3200 pounds of factory ballast standard. Prices too low to advertise, save thousands below List Price!! Call Bubba for our selling price and more details at 318-213-2628!! !